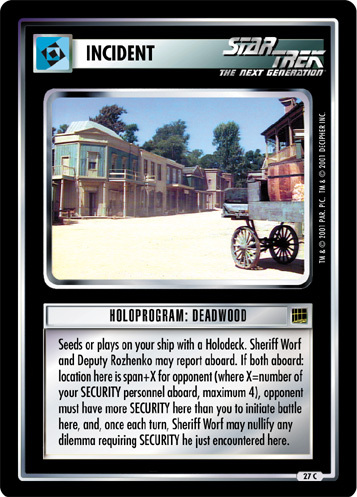 Seeds or plays on any ship or facility with a Holodeck. You may report Secret Agent Julian Bashir (or any personnel with his name in lore) aboard. 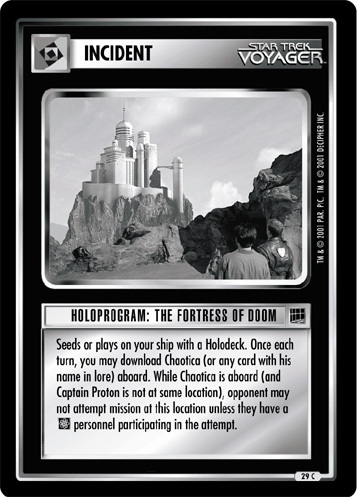 In place of your normal card play, you may download such a personnel aboard. 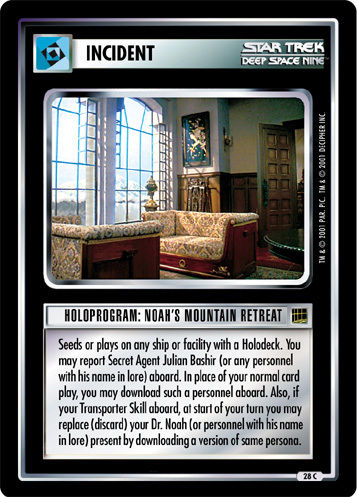 Also, if your Transporter Skill aboard, at start of turn you may replace (discard) your Dr. Noah (or personnel with his name in lore) present by downloading a version of same persona.